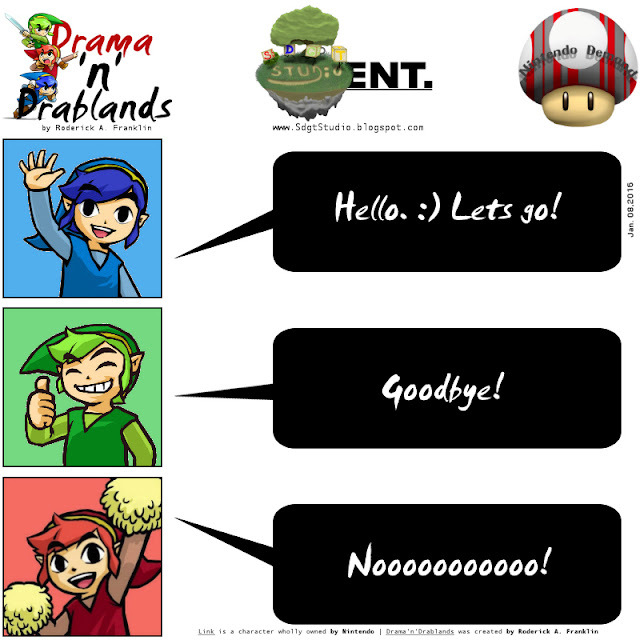 Super Duper Gamer Team Entertainment: Drama'N'Drablands | 01.08.2016 + From the Source: Nintendo- Store Massive Makeover & Atlus action! Drama'N'Drablands | 01.08.2016 + From the Source: Nintendo- Store Massive Makeover & Atlus action! ACE Team and ATLUS are Putting the "B" in B Movie* with a ~33% Launch Discount! Stop the presses! 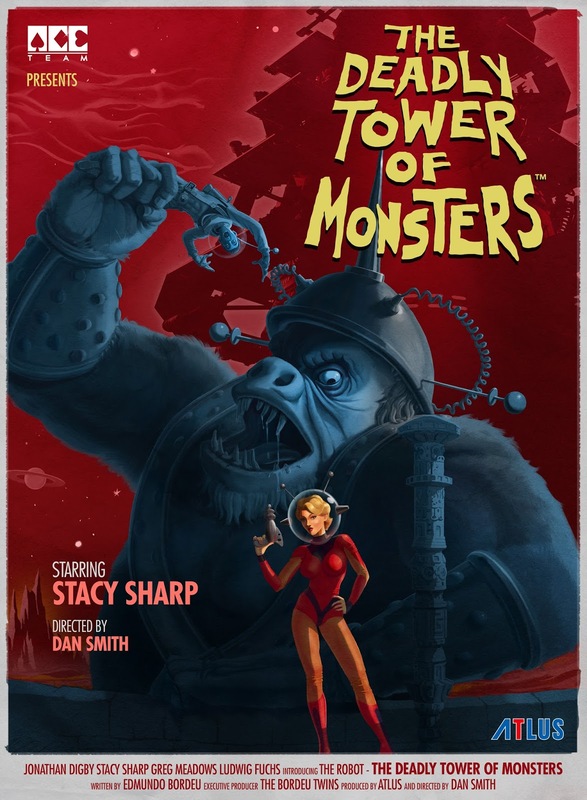 The Deadly Tower of Monsters director Dan Smith is at it again. He wants to make his sci-fi spectacular accessible to as many people as possible, so he's demanding that the studio cut prices to his film*! Is this truly the work of a passionate visionary director or just another diabolical marketing scheme by those despicable fat cat movie executives? I don't know one way or the other, but the fact is that The Deadly Tower of Monsters will get a special 2-week price discount when it launches! When the game launches in the Americas and Europe on Jan. 19, it will be discounted ~33% until Feb. 2 for PS Plus subscribers and Steam users. Plus, the Steam version of the game will also include a bonus "Scarlet Nova" digital calendar! While the price will revert back to normal after the promotional period, the calendar will be a permanent bonus for Steam purchases! 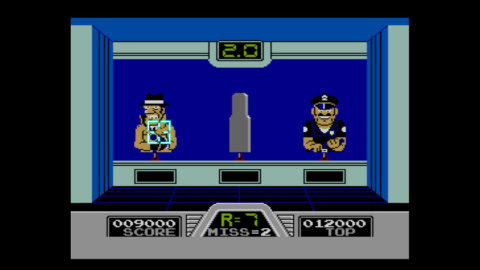 Plus, we're taking review code requests now! We're expecting to distribute code by 1/14, so to streamline things, please fill out the short review survey below. The Deadly Tower of Monsters crash-lands onto PC and PS4 on Jan. 19, 2016in the Americas and Europe! Want more? Here is a faux movie poster that you can save... print and put on your wall. More Immersion, More Fun … More Nintendo! 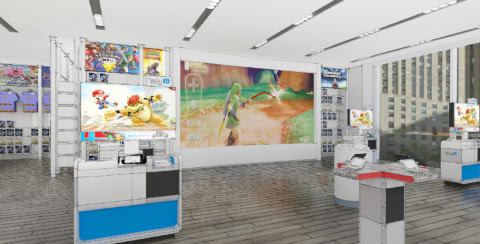 The weekend of the reopening (Feb. 19-21), the newly branded Nintendo NY store will host a series of reopening activities, including giveaways (while supplies last) and appearances by costumed characters like Mario and Luigi. 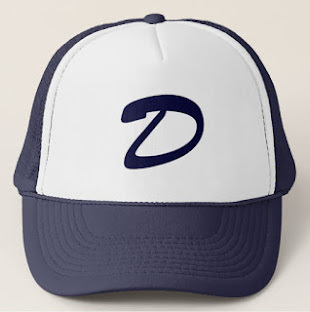 The store will also sell exclusive souvenirs that can only be purchased that weekend, including a limited-edition T-shirt featuring Mario or Link. Fans who want to try out some of Nintendo’s latest games are in luck, as new and upcoming Wii U and Nintendo 3DS games will be available to play. Located in Manhattan’s historic Rockefeller Plaza, the Nintendo store is a huge, two-floor space dedicated to all things Nintendo. 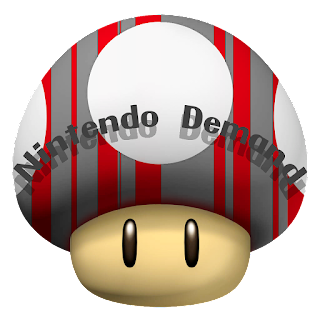 Whether people want to purchase cool Nintendo gear that’s not available anywhere else or just stop by to play some of the hottest upcoming Wii U and Nintendo 3DS games, fans of all ages will have a blast when visiting. The store originally opened in 2005.